Sweeter than sugar! Meet a magical fairy who looks on the tasty side of life. Welcome to the Fairyland Candy Harvest: a celebration of all things sweetly delicious. It’s a feast of lollipops, bonbons, sweet treats and goodies galore. Rachel and Kirsty are especially loving Gabby’s special bubble gum recipe. 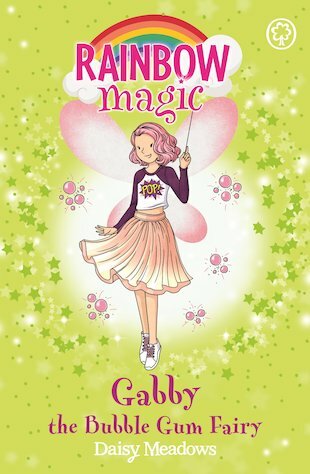 But when Jack Frost steals Gabby’s magical item, her bubble is well and truly burst! Can Rachel and Kirsty save the day and keep things sweet?